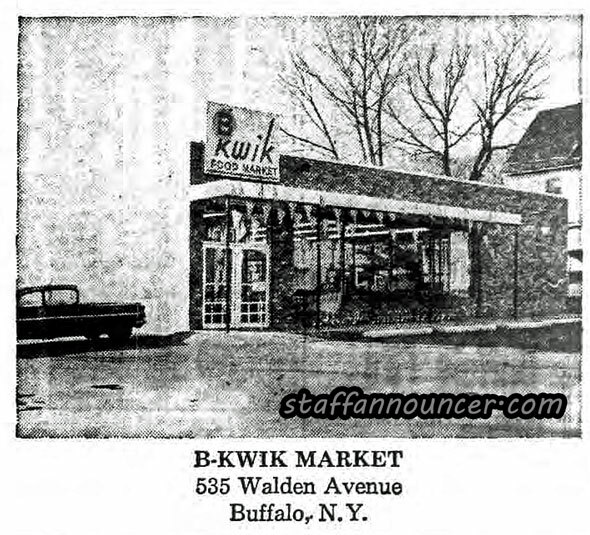 BUFFALO, NY – In the 1950s, grocery shopping was done primarily at what we’d now consider small-to-medium-sized grocery stores like A&P, Park Edge, Mohican, Red & White– along with small neighborhood corner stores, many of which had been in operation for decades. 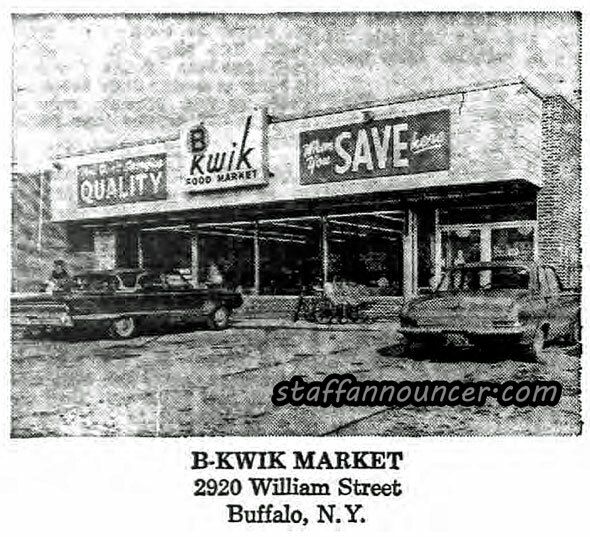 As the suburb helped create the supermarket to replace the smaller stores, many of the more successful smaller scale operators became players in the Buffalo supermarket business. 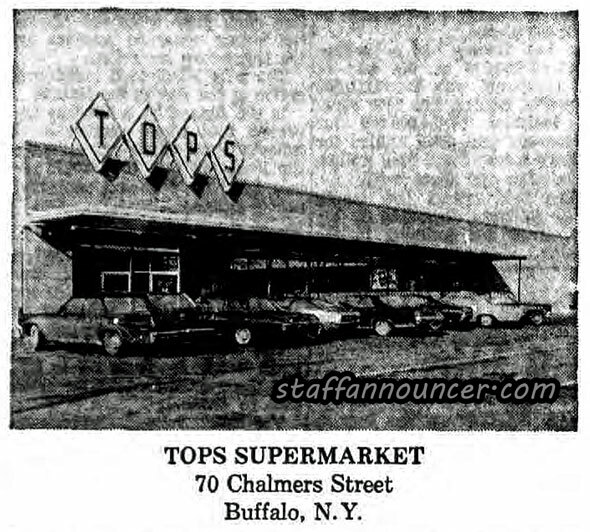 The owners of Super Duper, Bells, and Tops all had years of grocery experience before opening the larger stores. 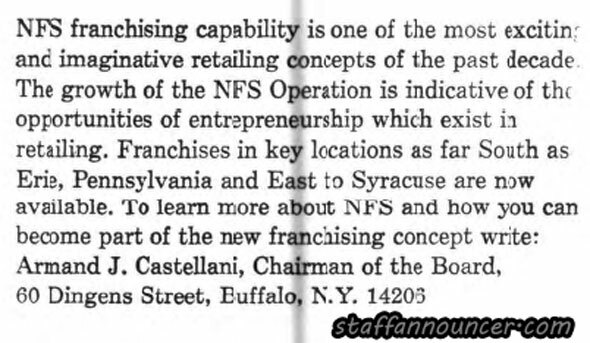 The same is true of Wegmans, which didn’t come to Buffalo until the late ’70s. 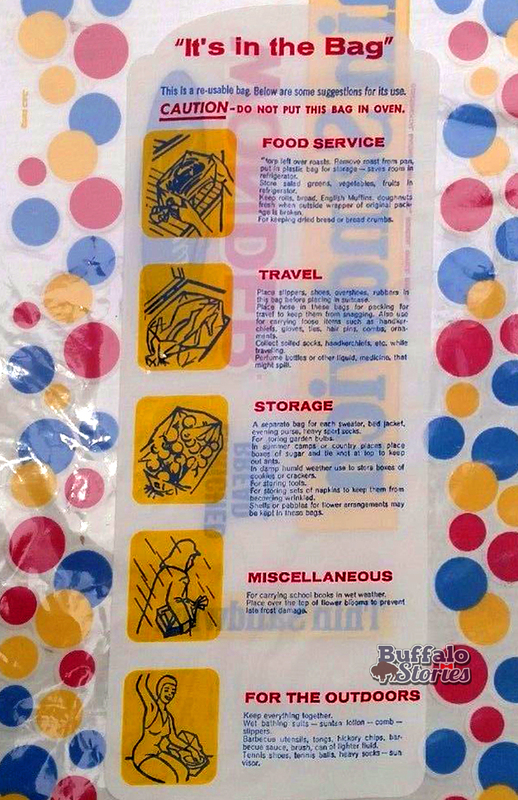 The only Buffalo name to last is Tops. 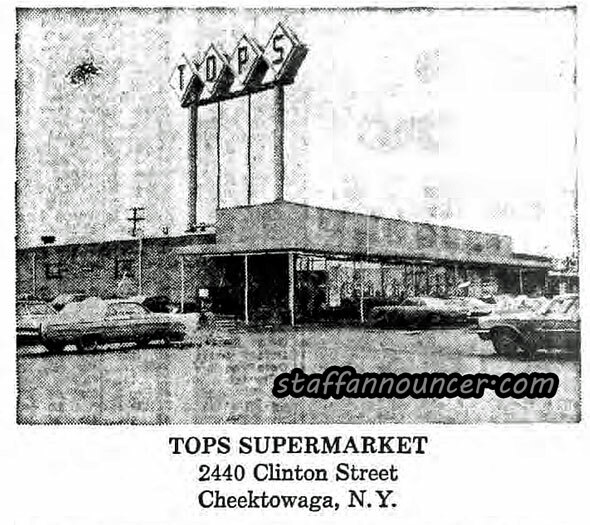 Tops Friendly Markets grew into a Western New York institution by expanding through franchising, first with Tops Markets, then with B-kwik markets, then with Wilson Farms stores, bringing three different levels of grocery service to Western New York. 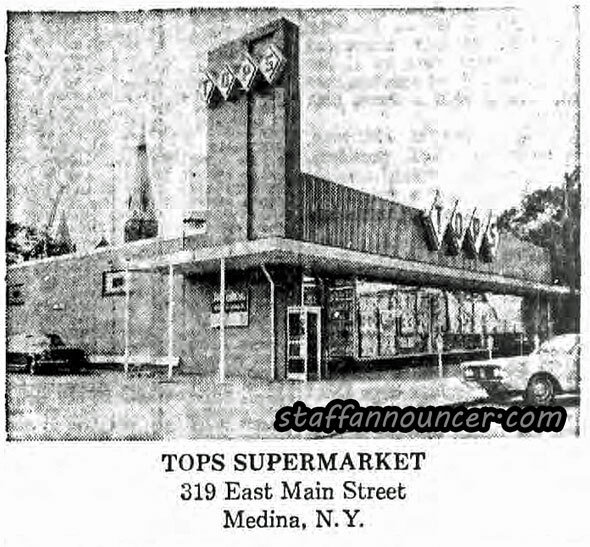 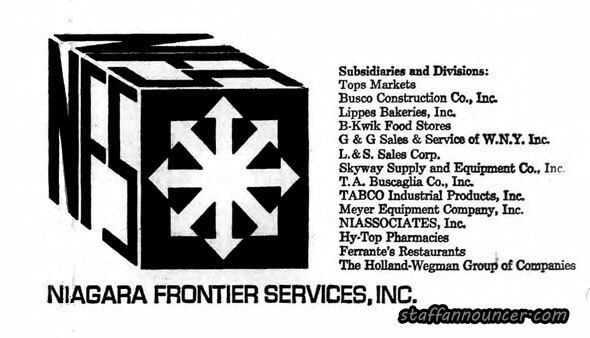 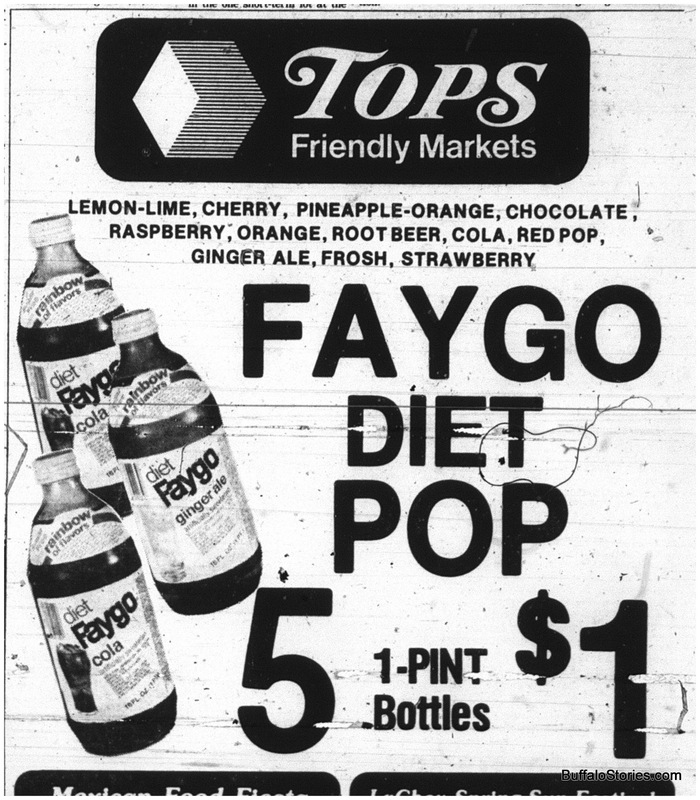 Tops had only been on the scene for 6 years early in 1969, when Niagara Frontier Services took out a full page ad in the Courier-Express, looking for new franchisees, and bragging about the new stores that had been built in the previous few months. 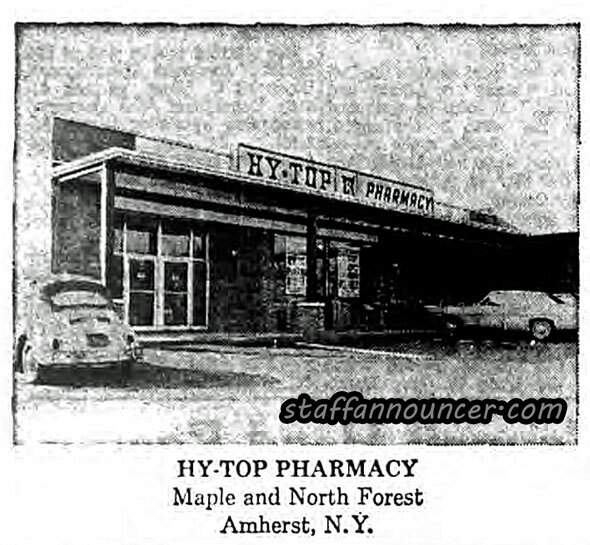 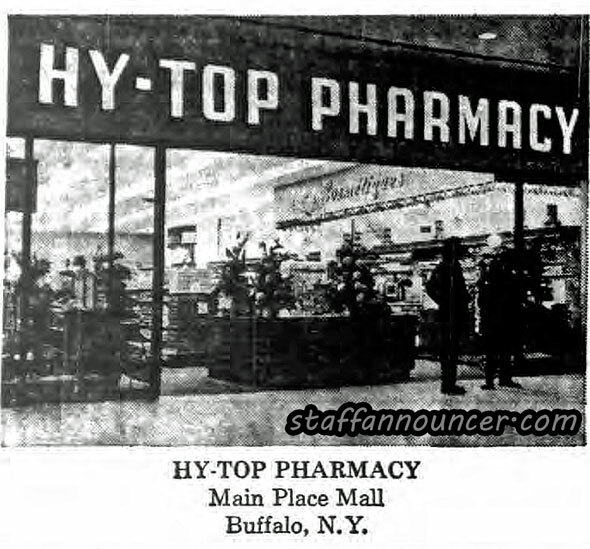 These are the photos of the Tops, B-kwik, and Hy-Top Pharmacy stores which were built in the second half of 1968, along with the brief franchising pitch. 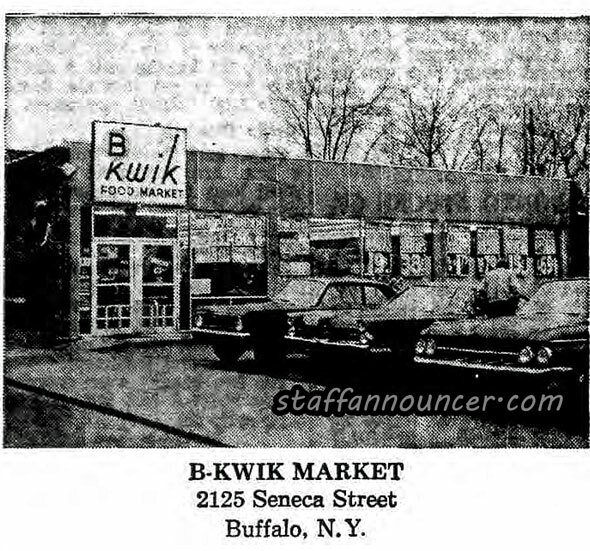 B-kwik, Seneca St. 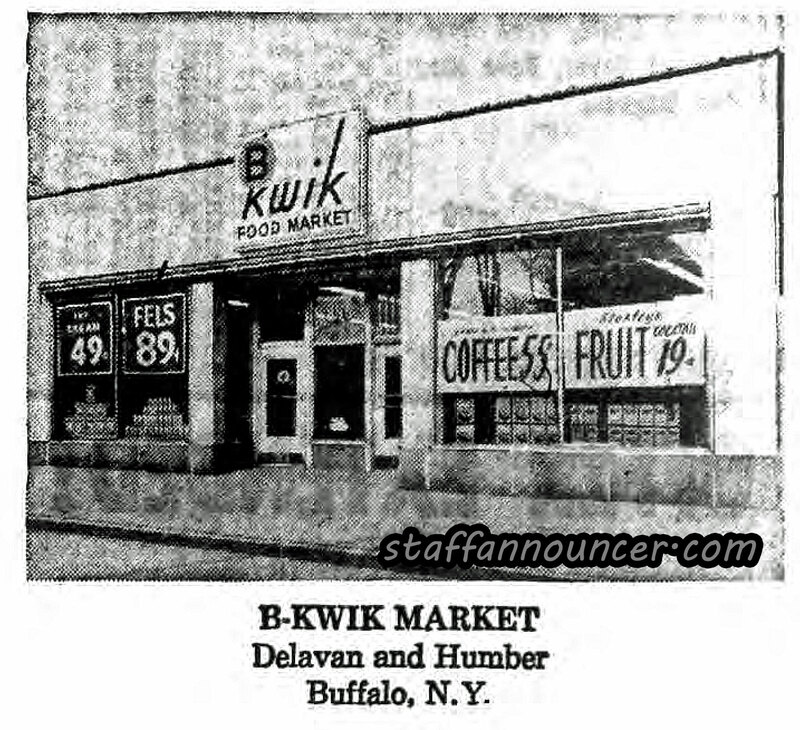 This store was on the corner of Kingston Street. 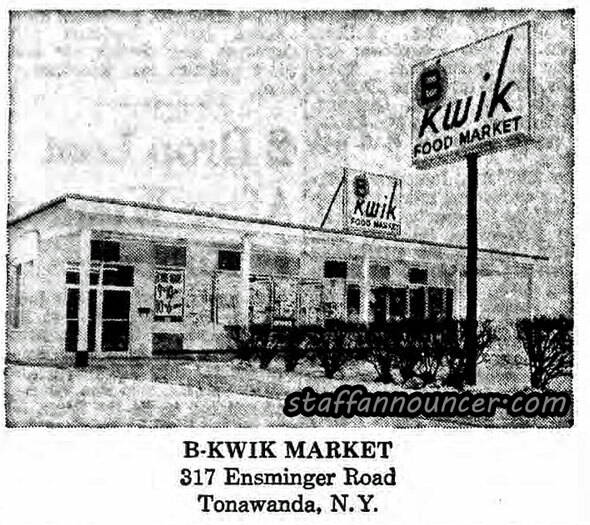 It moved to the current Tops location several years later when B-kwik took over several area “Food Arena” stores. 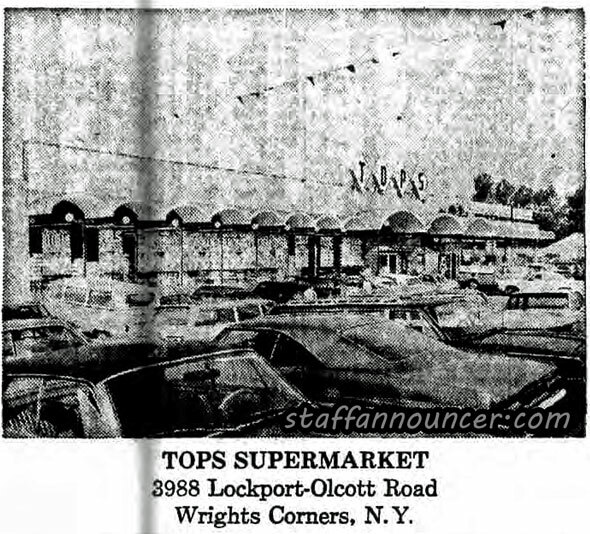 Tops, Lockport-Olcott Rd. 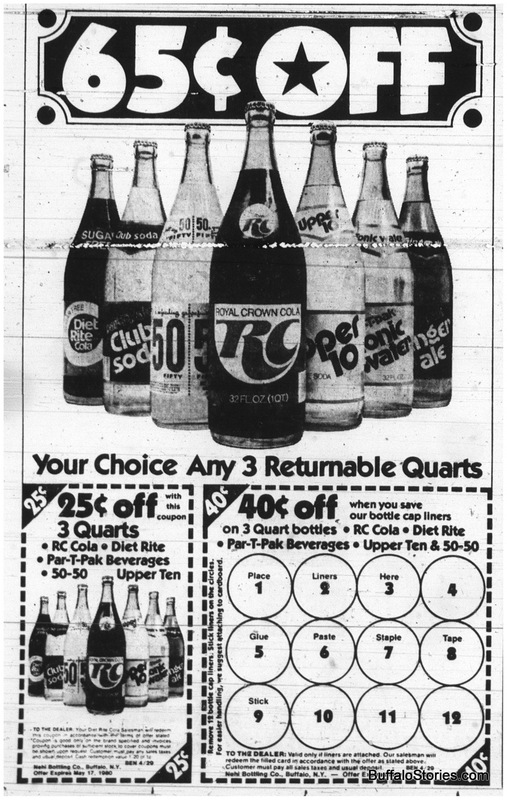 Currently Family Dollar, across the street from current Tops. 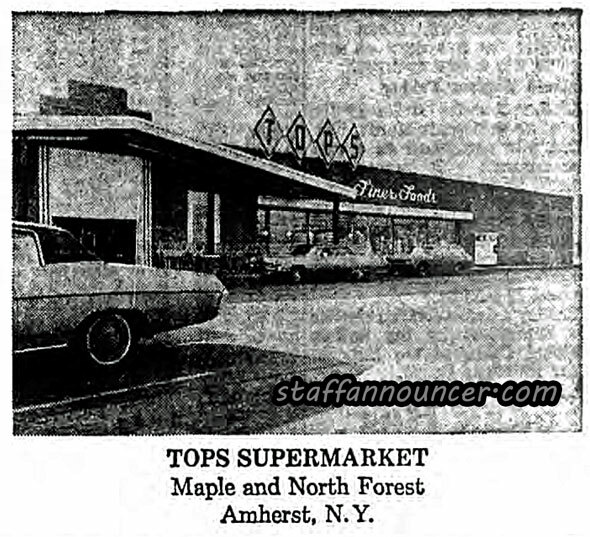 Tops, Maple at North Forest. 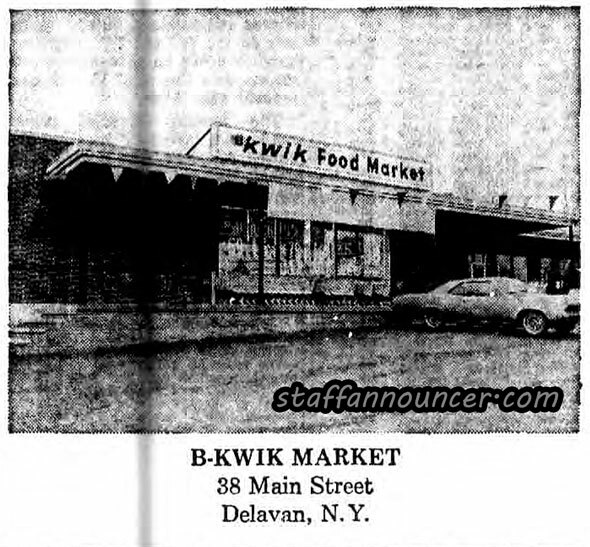 Was VIX, now vacant.